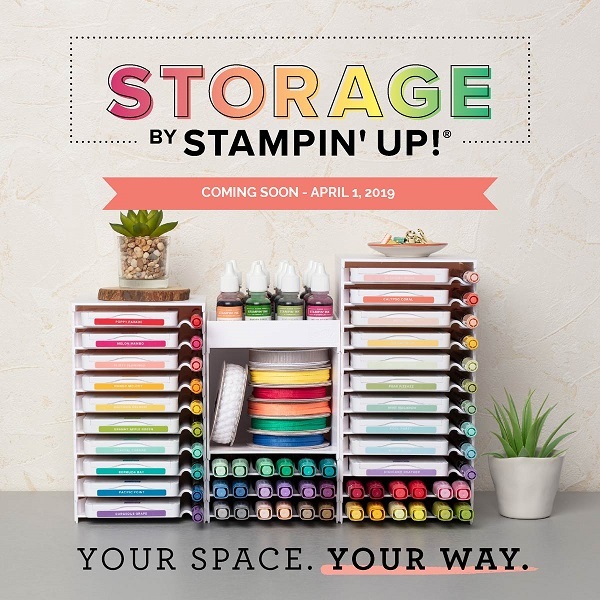 If you’re like me, you are eagerly awaiting the new Stampin’ Up! catalogue. The new catalogue launches on June 1st so we don’t have to wait too much longer. We are all very excited though as Stampin’ Up! has released one of the product suites early. So if you want to get your hands on the colourful and exotic products from the Eastern Palace Suite before they’re officially released in the 2017-2018 annual catalogue, now is the time! 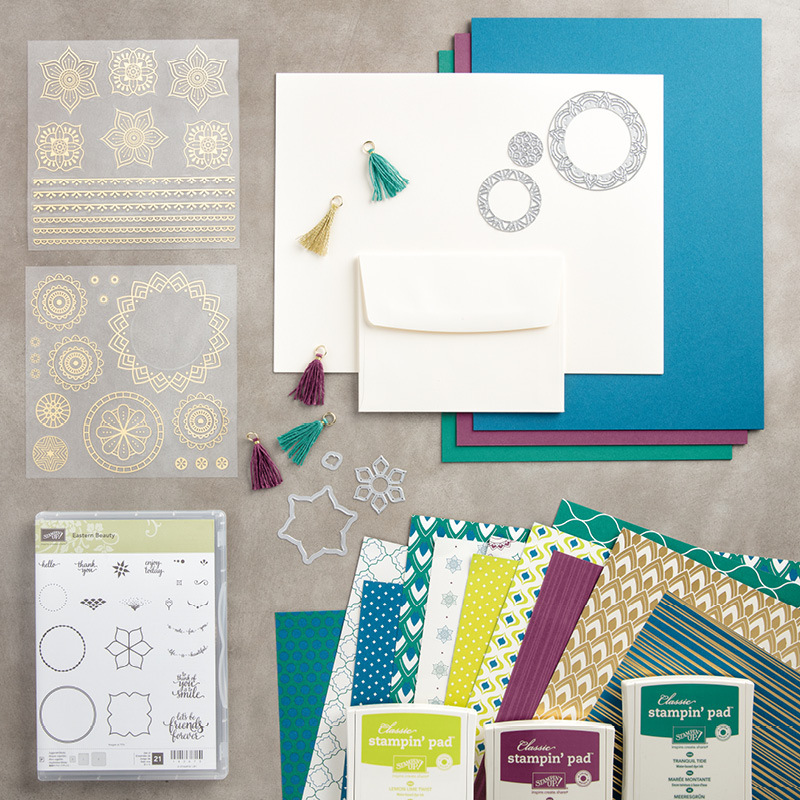 And to add to the fun, this suite also features THREE of the new In Color colours – Lemon Lime Twist, Tranquil Tide and Fresh Fig. There are a couple of lovely bundles from which to choose – the Starter Bundle (147196) and the Premier Bundle (147209). They are only available until May 31st. Remember, these bundles are only available until the 31st May. They can be purchased from my online store at: Stampers Workshop. 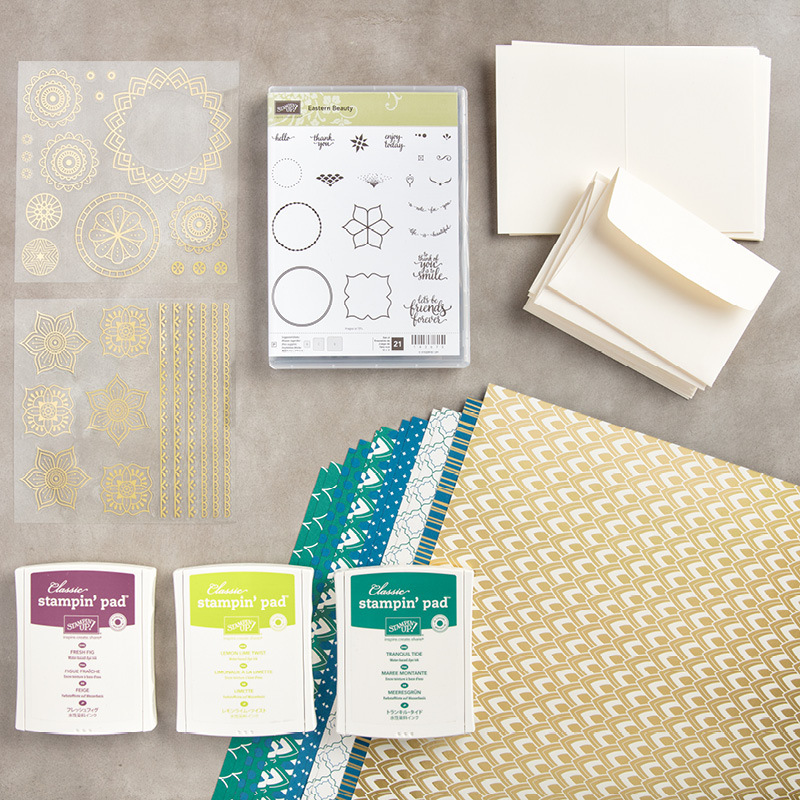 Hope you enjoy creating with these new sets and do share your creations with me as I would love to see them!